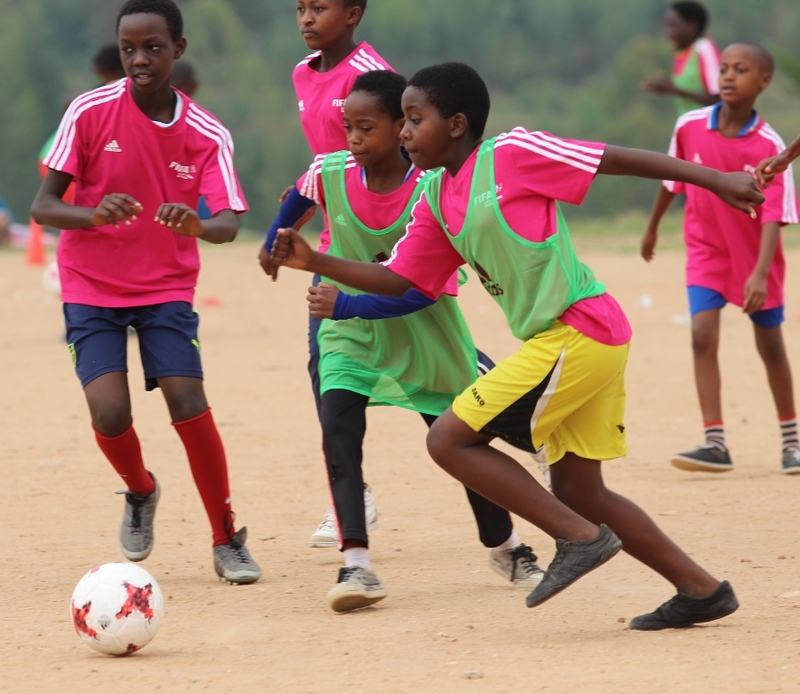 Rwanda’s top women referee Mukansanga Radia Salma is in Doha, Qatar alongside other 26 referees and 48 assistant referees undergoing preparations for the 2019 FIFA Women’s World Cup which will be held from June 7 – July 7 in France. The FIFA Women’s World Cup preparation course for women referees started this month in Doha and will last until 15 February. The 27 referees and 48 assistant referees who have been nominated for France 2019 are getting ready for the tournament in Qatar. According to Kari Seitz, FIFA’s Senior Manager of Refereeing, "It’s a very intensive seminar, in fact I’d go so far as to call it a super-seminar", says. "It is giving women referees the opportunity to work on their fine-tuning and as such is the ideal preparation for the World Cup in France." The course in Doha includes not only training sessions on the pitch with VAR and others featuring direct feedback for the assistant referees, theory lessons as well as medical and fitness checks, but also a full tournament with U-17 teams from around the world, which the referees are officiating in match conditions. The seminar in Doha represents a milestone, since it is women referees and assistants taking part and engaging in lively exchanges. The countdown has begun with the big event just a few months away, starting on 7 June. "It’s important that the referees understand that they will have a great responsibility when they are out on the pitch at the tournament," said Massimo Busacca, FIFA’s Director of Refereeing. "After all, certain situations can tip a game one way or the other." The 28-year - arguably the best and most famous female referee the country has ever produced, Mukansanga was the sole African match official at the U17 Women’s World Cup, and is one of only three African referees at this year’s FIFA Women’s World Cup along with Gladys Lengwe of Zambia and Ethiopia’s Lidya Tafesse Abebe. 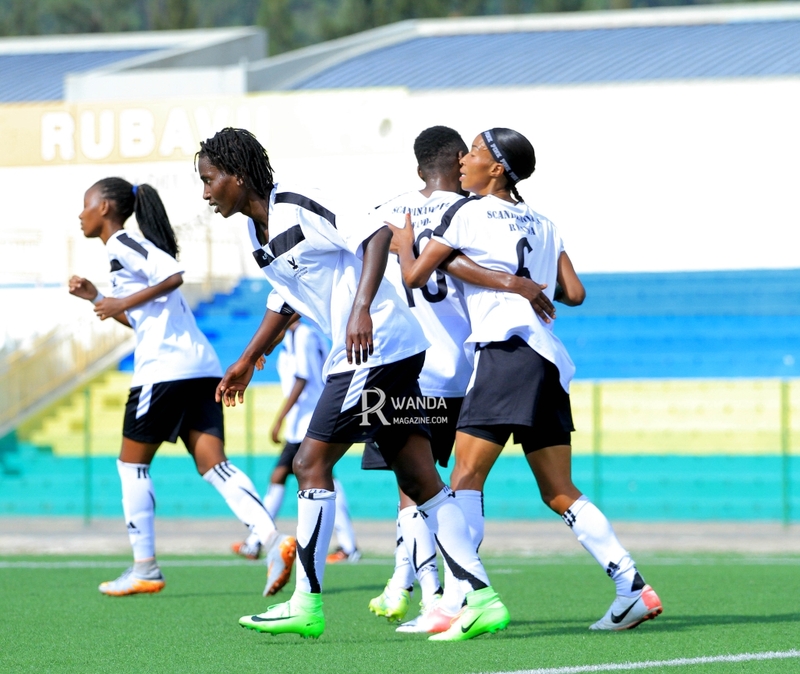 She is also the only female central referee in the ongoing 2018/2019 Azam Rwanda Premier League season. Most recently, she was in charge during Police’s 3-2 victory over Mukura at Kigali Stadium last week. As part of preparations, the women referees in Doha are also officiating the 2019 Al Kass International Cup which is currently underway in Doha. Al Kass International Cup attracts twelve of the world’s best U-17 football teams from around the world. Qatar’s Aspire Academy is part of tournament, which was last year won by Paris St. Germain, who now hold the record of being the only team winning three titles. The other participating teams are Real Madrid (Spain), Kashiwa Reysol (Japan), Rangers FC (Scotland), Raja Club Athletic (Morocco), AS Roma (Italy), FC Bayern München (Germany), Altinordu FK (Turkey), Étoile Sportive du Sahel (Tunisia), FC Spartak Moscow (Russia) and Suwon Samsung Bluewings (South Korea). The 2019 edition of the tournament has incorporated several exciting features. For the first time, the video assistant referee (VAR) is going to be used to review decisions made by the head official, with the use of video footage and a headset for communication. Also for the first time, the tournament will feature female referees from all over the world. They are approved by FIFA and will use the 2019 Al Kass International Cup as part of their preparations for the 2019 FIFA Women’s World Cup, which takes place between this summer in France. Today, Mukansanga has been appointed as the reserve referee for the double header between Altinordu FK against Etoule Sportive in Group C and Real Madrid against Suwon Samsung in Group D.
The Al Kass International Cup has established itself as a key international football event that supports the Qatar National Vision 2030 and contributes to building on the foundations of a proud footballing nation up to the 2022 FIFA World Cup and beyond. Inaugurated in 2012, Al Kass International Cup is an annual tournament that provides some of the world’s choice young footballers the opportunity to demonstrate their ability and skills on the world stage. The tournament also aims to contribute to the nurturing of passion for football in Qatar and the region by offering up a 12-day action-packed competition that seeks to propel Qatar to the forefront of sporting excellence and leadership.